The primary asset type in dexi is called a robot. 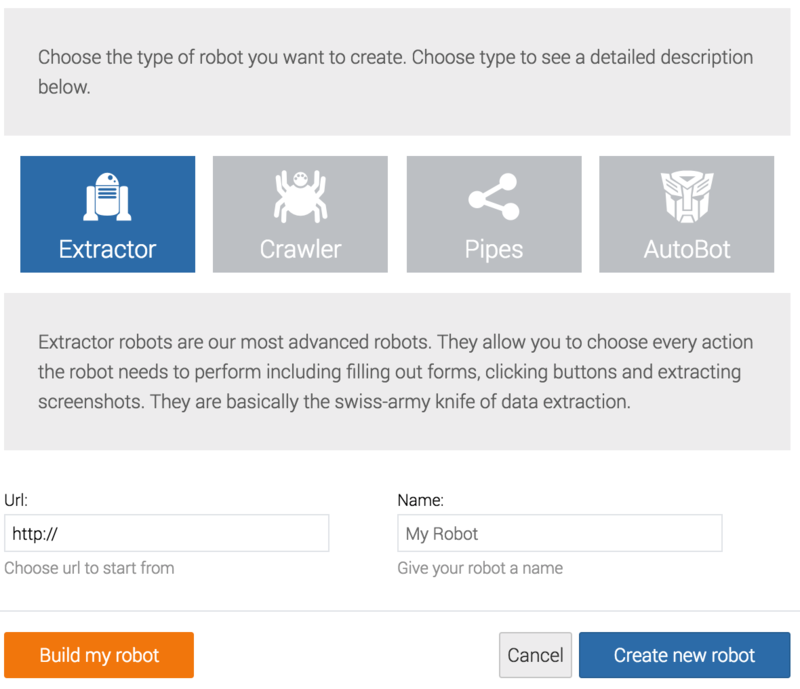 A robot is a broad term that covers Extractors, Crawlers, Pipes and Autobots. A robot in dexi is something that automates things - like websites or data flows.